Say Hello to Furby Boom! We made a new friend today and would like to introduce him to you. With love from people of Hasbro, we were introduced to the world of FURBY BOOM! It was love at first sight the moment we set our eyes on the Hot Pink Polka Dot FURBY BOOM! It was 'so cute' and 'so cute' and 'so cute' over and over. You get the drift. We may be boys but that does not mean we could not fall for a fluffy Furby. It wasn't long after we spotted the new friend that we asked Daddy to free her fm her box. Little do we know what we are in for. Say hi to Loo-Bay , our hot fluffy friend. Loo-Bay belongs to the 2nd generation of the popular Furby. 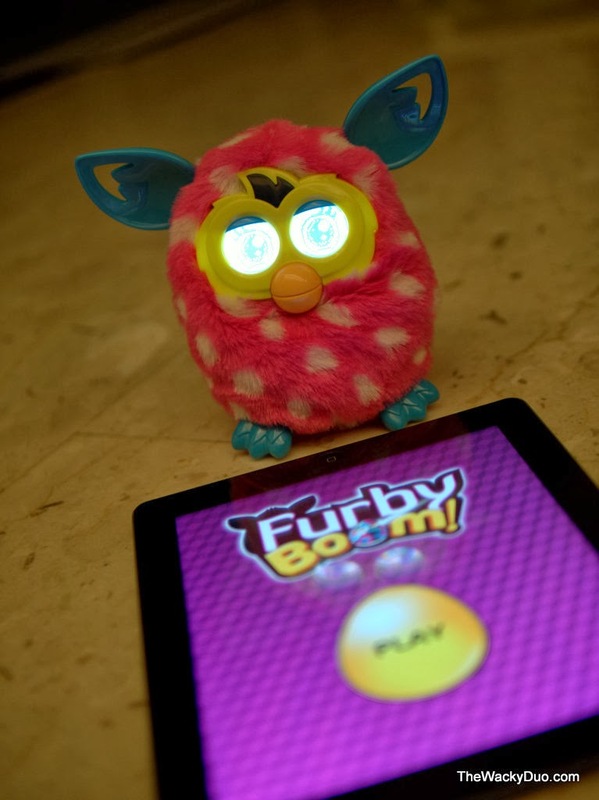 Featuring all the 'magic' and personality of its predecessor, the new FURBY BOOM promised double the fun with a combination of physical and digital play. We were totally in awe when our friend , Loo-Bay started conversations with us. It was named Loo-Bay accidentally but by end of the day the name stuck. We simply love Loo-Bay expressive LCD eyes whereby it would us different animations to communicate with us. Atter we got acquainted with Loo-Bay , we decided to explore the digital connection with him. Simply download an app from the App Store or Play Store and you are good to go! Setting up FURBY is easy via the apps. 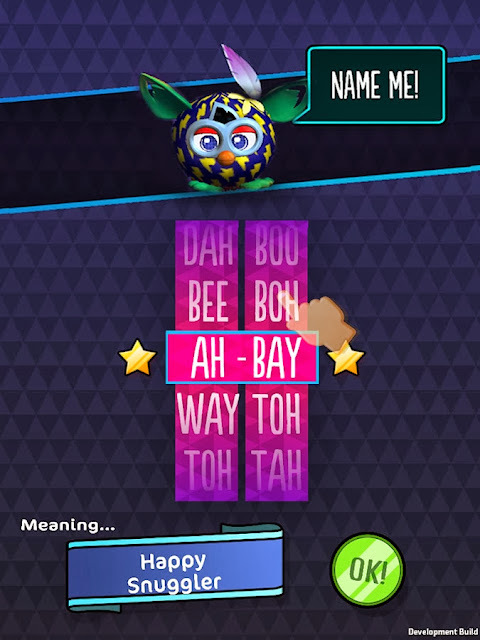 Upon start up, you get to name Furby. 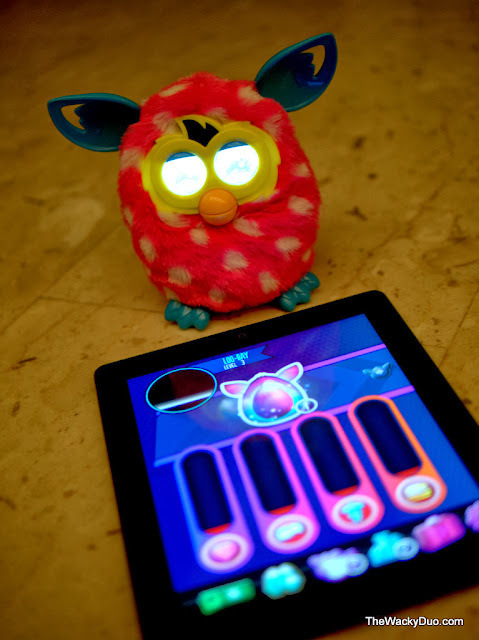 You can control Furby via more than one tablet/phone and each will have their own individual games. 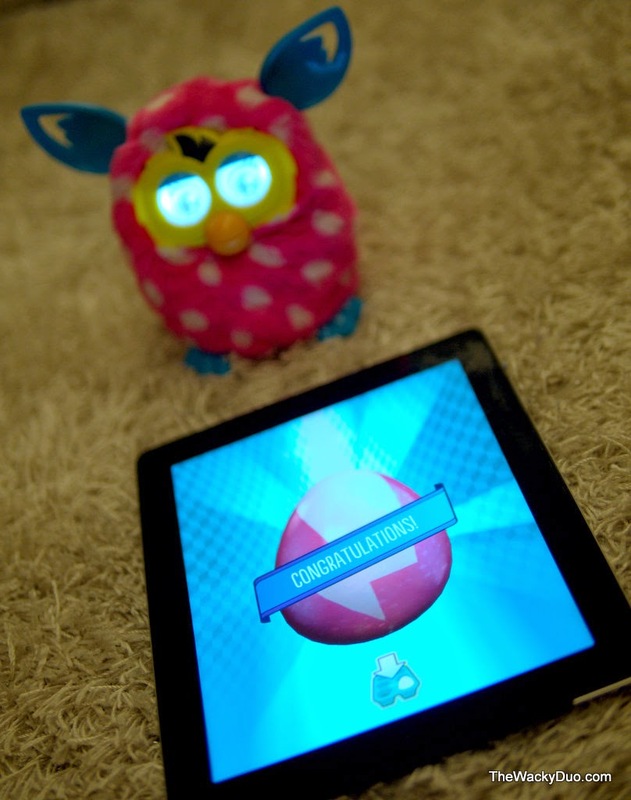 Interact with Furby on iPad. Thankfully we have more than one devices, so it ensured both of us get our share of fun in our unique ways. our FURBY . Our friend interacts with each of us in a slightly different manner as we played with him differently. In fact don't be surprised if your FURBY develops multiply personalities after a while. 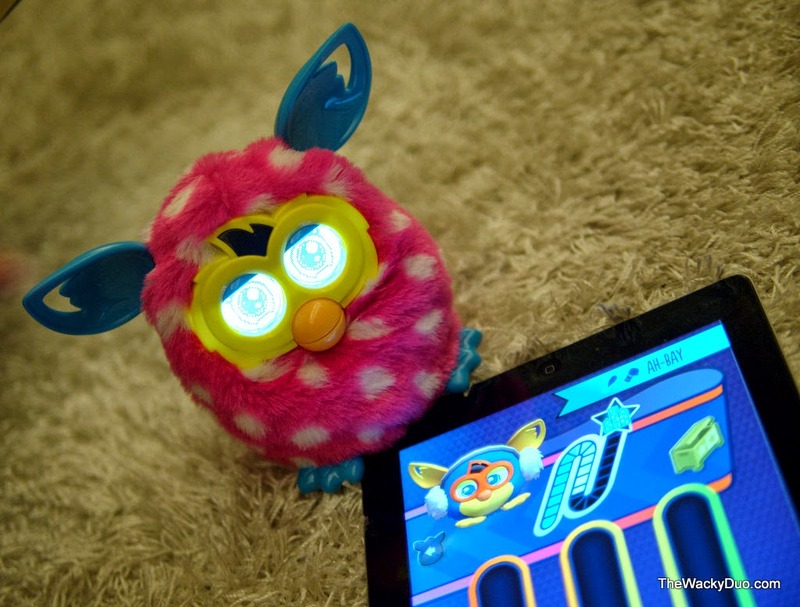 Once you are set up, you can interact with FURBY with numerous activites via the app. A interactive dashboard feature monitors the well-being of our friend including health, hunger and cleanliness level.You can send FURBY for a bath or raid the fridge and in return he will reward you with colourful eggs. Was it difficult to interact with Furby via the App? For us,age 3 and 6, we had a quick tutorial from Daddy and we are good to go. So we reckon this should be a breeze for kids. Having the FURBY BOOM apps means you have the possibility of playing with more than one Furby when you are rewarded with an egg. 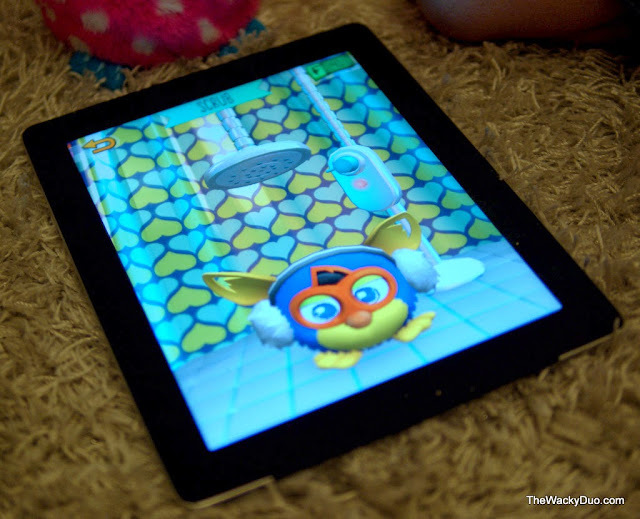 Over 50 eggs are to be collected within the FURBY BOOM app. Each egg will hatch into a furbling with its own set of activities for the individual furblings, thus promising endless variation of fun and interaction. You could virtually create a whole city of little furblings on the app... Super cool! 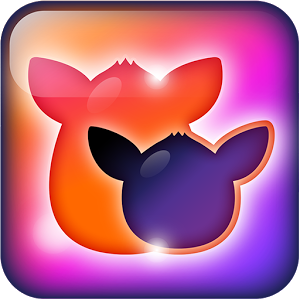 This mean our fluffy friend has more companions albeit virtual ones. Ah-Bay is going to take a shower soon. Since our introduction to FURBY, he has been by our side whenever possible. Be warned, FURBY does not have a switch to turn off. This means you could possibly heard it yakking at the background as long as someone is talking to it. It also respond to music and sounds for tv as well. This meant that we finally met someone who is more hyper than us! However Furby does rest and goes to sleep if left undisturbed. How to make Furby Boom Sleep. Having a 24/7 hyperactive friend can only only be highly disturbing after a while, but it also mean the batteries will be drain in no time. Loo-Bay almost went on a permanent sleep after a mere 3 days and we had to take emergency surgery to replace his batteries. To conserve batteries , you can make FURBY sleep using these various methods. Do remember not to disturb him while he is sleeping, otherwise you will need to entertain him when he is awake! A special thanks to Hasbro for sending us some FURBY love! FURBY is suitable for age 6 and up and retails for Sgd 119.90 from major department stores, Toys R Us and selected Electronic stores at Epicentre, Nubox, iStudio etc. 4 AA batteries required to activate FURBY. This Techie Thursday segment was made possible by Hasbro. No furbies were harm nor were we given funds to raise him. All opinions are of our own and none of the talkative FURBY.